Isn't the Frantic Stamper Lace Geometric Flower Doily a gorgeous die. 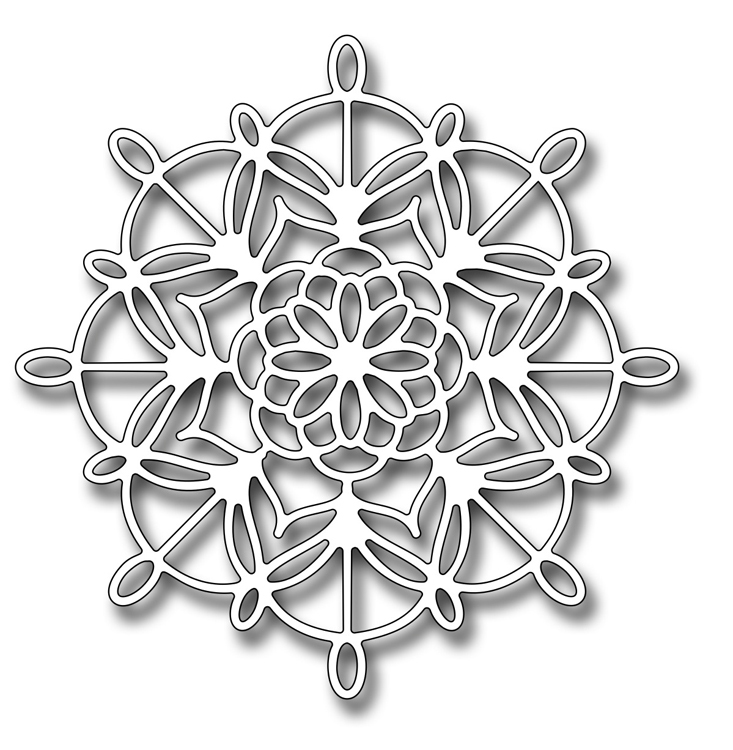 Visit Frantic Stamper.com and see all of the 2017 February released dies. Cut 6" x 6" patterned paper. Stick the border stickers around the paper. 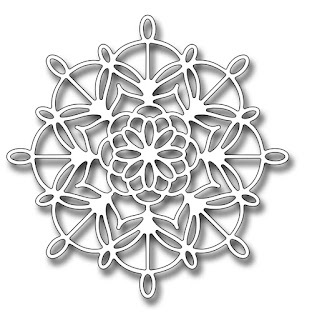 Cut the Frantic Stamper doily and adhere to the paper. 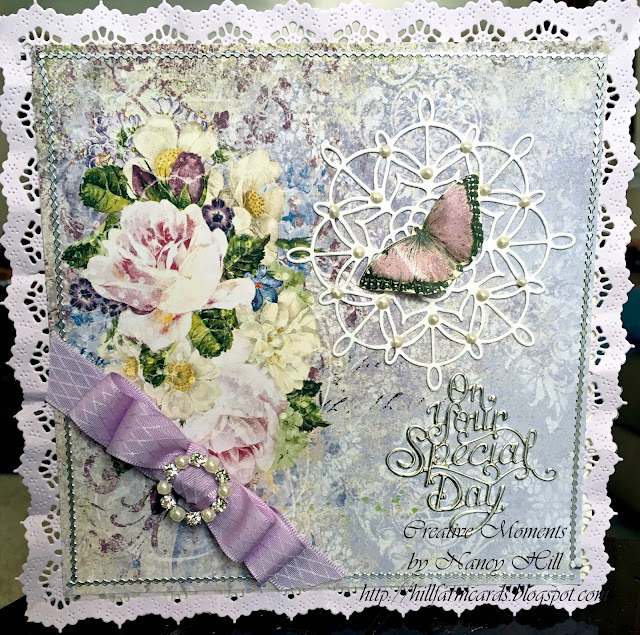 Stamp or cut out a butterfly and adhere to the card. Sue Wilson "Special Day". Ad the NUVO Crystal Drops - Ivory Seashell, to the Geometric Flower doily. I just wanted to come by and say hello and see some of your work. Everything is just beautiful. Good luck in the semi-finals for Heartfelt Creations!